Trees are so important for helping make Calgary the beautiful city that it is, and we keep a close eye on those that are part of the commercial and personal properties we maintain. We want them to be around as long as possible, and hate to lose any prematurely. Over our three generations of experience in the Calgary landscaping business we have seen the same sorts of tree diseases appear time and time again, and are adept at spotting and treating them. Mainly affecting maydays, chokecherries and lilacs, black knot fungus appears as black, bulgy lumps on branches. Trees can actually live ok with the disease with regular pruning, depending on their overall health, but the symptoms can get bad enough to require removal. To avoid this, we recommend a good pruning during late winter when the fungus is dormant. Don’t prune in the spring, it will likely cause spread, and when managing the disease throughout the summer it’s important to sanitize saws and shears in between each cut. Because bronze leaf disease is carried by spores, it spreads fast and is highly contagious. Affecting poplars and hybrids, such as Swedish columnar aspens and tower poplars, it can literally obliterate entire neighbourhoods of trees in three to five years. It usually shows up in late summer to early fall, and true to its name, the tree’s leaves will turn an orange-red-brown mix, starting from the edges in, with the veins of the leaves remaining bright green. It’s not that pretty though. The leaves bubble and curl, often remaining attached to the tree, and the disease is easily carried into the branches, killing it relatively quickly without intervention. It’s very important, if you spot any infected leaves on the ground, to pick them up and dispose of them in the regular garbage rather than a leaf drop off or in your composting to avoid spreading the disease to other trees. When we spot bronze leaf disease at any of our Calgary landscaping properties we advise to prune the affected branches a foot or more past the diseased area. 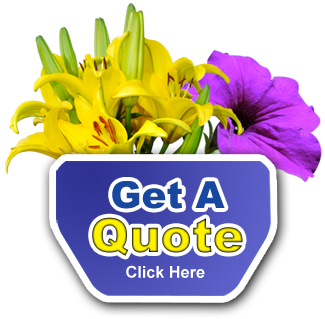 Our professionals will maintain the look of the tree as much as possible. We also ensure to clean our tools with bleach and water between each cut, and bag everything to take straight to the landfill when finished. Over many years in the Calgary landscaping business we have planted many birch trees, and love the way they look. They can be hard to take care of, though. They require a lot of water, which means that during one of our usually-dry summers they get thirsty fast. You can tell when a birch needs water by dead and leafless branches at its top. Another threat to Calgary birches is the birch leafminer and the bronze birch borer, which tend to attack weakened trees first. Larvae from eggs the leafminer lays in the leaves hatches then consumes the leaf, leaving patches of brown in the tree. The leafminer is relatively easily controlled with organic pesticides and pruning. The bronze birch borer is much worse, however. A type of beetle, it drills directly into the tree’s circulatory system, leading to a slow in the flow of sap. Since they’re hard to detect and work all summer long they are a devastating tree-killer. Elm scale attacks elms and fruit and ornamental trees. Since these are all hard to keep healthy in Calgary, we recommend paying extra attention to their health. Make sure to give each one a deep watering once a month, and it’s also a good idea spray the canopy regularly as well. These types of trees also do best when mulched in. You’ll be able to spot the insect causing your tree’s leaves to change colour and droop, branches to die and the sticky stuff to fall to the ground. They will be about 10 mm long and a greyish colour, and will usually be hanging out at the “Y” where branches meet. Also look for a black, mold-like substance. A professional organic pesticide injection can help get rid of elm scale. 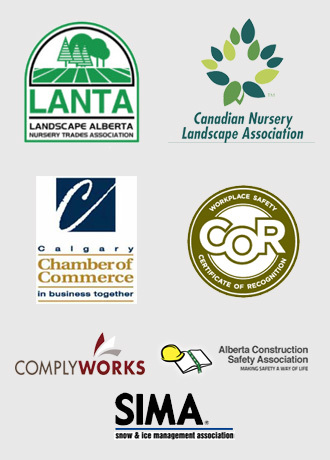 Mirage Landscaping is a trusted provider of lawn care and landscape construction services in southeast Calgary and throughout the Calgary area. You’ll be pleasantly surprised to see just how affordable Mirage’s services are. To get started, please request an estimate, and check out our portfolio for examples of our work.